With the last few releases of View there have been a number of new features that have been included that require additional privileges in vCenter for the service account used by View. Many customers simply use the Administrator role so do not encounter permission problems with vCenter but for more secure customers the minimum permission set is required. 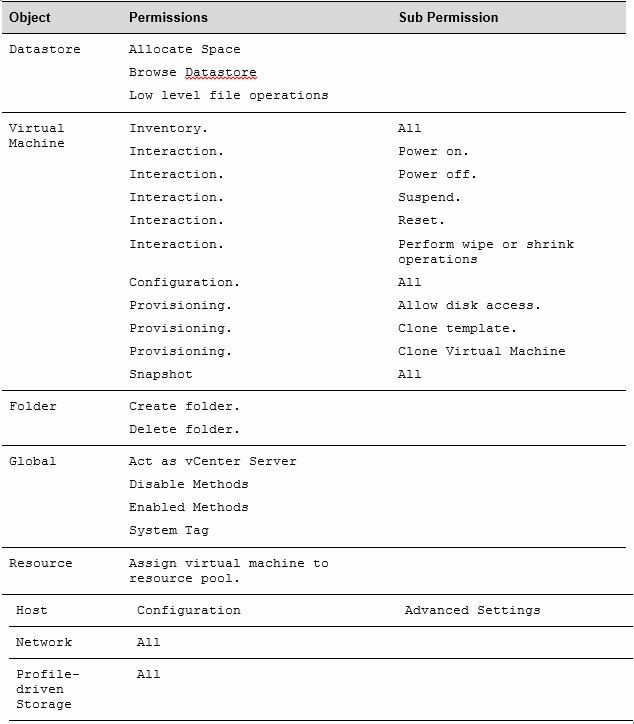 The below permissions are the minimum required for View to interact with vCenter whilst still being fully functional including configuring VSAN and the View Storage Accelerator. This should be applied at the vCenter level to the service account used by View to connect to vCenter.